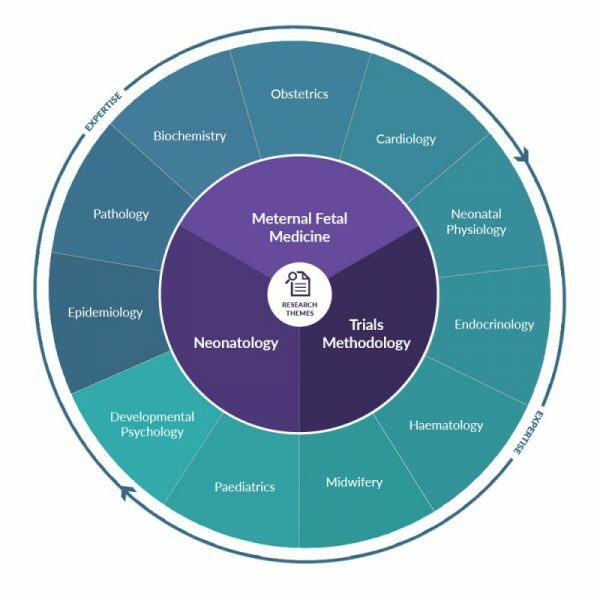 The HRB Mother and Baby Clinical Trial Network Ireland is a network of world renowned researchers and consultants, obstetricians, neonatologists, midwives and related professionals from seven of the largest maternity hospitals in Ireland, which deliver over 55,000 babies per annum. The combined skill and expertise of the network is focused on improving the health and lives of Mothers and babies in Ireland and around the world. The HRB Mother and Baby CTNI research themes are supported by our expertise in a number of areas.